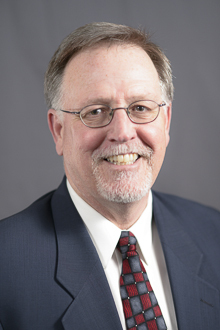 DAVID H. SCHROEDER | Charysh & Schroeder, LTD.
David H. Schroeder received his Juris Doctor degree from The John Marshall Law School of Chicago, Illinois, in 1983. He received his Bachelor of Science degree from the University of Wisconsin-Stevens Point in 1978, where he graduated with honors. In his senior year of law school, Mr. Schroeder was licensed to practice law in Illinois under Supreme Court Rule 711. In that capacity, he joined the Cook County State’s Attorney’s office in the Felony Trial Division. Mr. Schroeder was assigned to the courtroom of the late Appellate Justice, Eugene R. Pincham. Mr. Schroeder practiced under the direct supervision of the Honorable James B. Linn. Both prior to becoming a founding member of Charysh & Schroeder, Ltd., in 1989, and thereafter, Mr. Schroeder has handled the defense of product liability, Structural Work Act, fire and explosion, medical malpractice, automobile, and contract cases. Mr. Schroeder has extensive experience in handling Federal Civil Rights claims, including claims brought by prisoners alleging constitutional violations for deliberate indifference in their medical care and treatment. Mr. Schroeder also has experience in handling property liability cases, professional liability cases, commercial litigation and employment discrimination cases. Mr. Schroeder’s trial experience spans his entire 33 year legal career, including trying more than 50 cases to jury verdict. Most recently, Mr. Schroeder has obtained defense verdicts in the cases of Chen v. Magnum Transportation, Lieberman v. Addus HealthCare, Inc., and Ceja v. Stork Fabricators. In Chen, the plaintiffs alleged traumatic injuries to a young mother, father and two year old child as a result of the negligent operation of a semi-tractor and trailer. The plaintiff in Lieberman alleged misdiagnosis of a basal cell carcinoma by the defendant’s physicians that required six subsequent surgical procedures. A factory worker, Ceja, alleged defective design and manufacture of a product that caused a traumatic injury to the plaintiff’s hand. Mr. Schroeder is admitted to practice law in the State of Illinois, before the United States District Courts for the Northern and Central Districts of Illinois and the United States District Court for the Eastern District of Michigan. Mr. Schroeder is a member of the Federal Trial Bar in the Northern District of Illinois and is also admitted to practice before the United States Court of Appeals for the Seventh Circuit. While Mr. Schroeder has tried numerous cases to verdict, he has also practiced before both State and Federal Courts of Appeal. Mr. Schroeder has participated in numerous arbitrations and mediations, both representing parties and serving as an arbitrator and mediator.